After dinner at Smallman Galley, we walked around a bit. As we were walking back to our car, we walked past the building where Cioppino and Osteria 2350 are located. 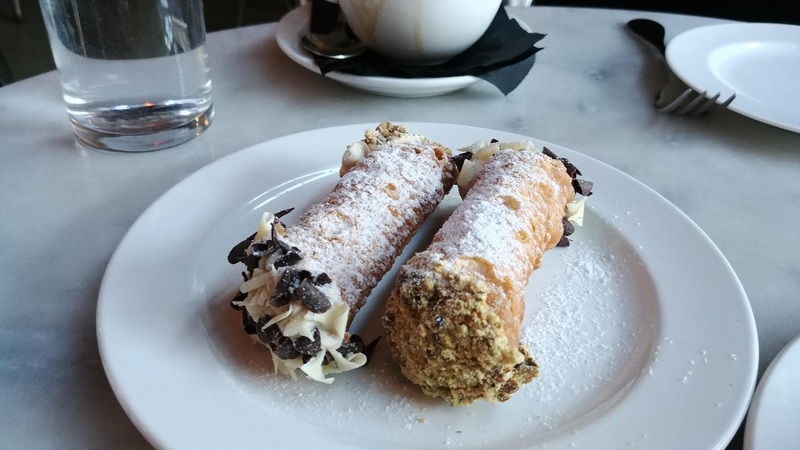 On the spur of the moment, we decided to see if we could stop in Osteria 2350 for some dessert. Happily, they were able to seat us. 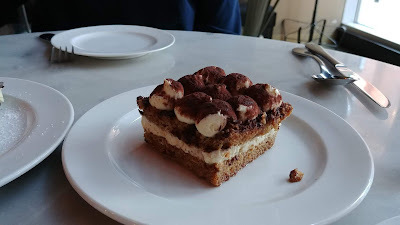 We shared a piece of Tiramisu (espresso soaked ladyfingers, marsala mascarpone filling, dark cocoa dusting). It was yummy. Lots of espresso in the ladyfingers. We also ordered two Cannoli. We shared one and took the other home. SP got the pistachio end and I got the chocolate end! The filling was excellent, creamy and a hint of orange. Wonderful crisp shells. 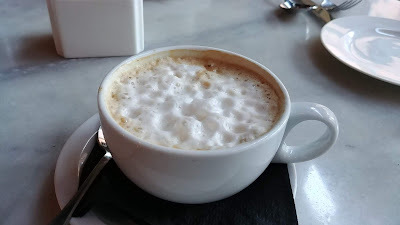 We ordered Cappuccino to warm up. They tasted so good after walking around on a windy and chilly Saturday. We hadn't been to Osteria 2350 in a while but we've always enjoyed the food and the servers are always terrific. Even though we just had dessert, it was nice to feel so welcomed. The desserts and coffees were delicious. Hopefully we will soon be back for dinner.